Fully automated mechanical game generators / The STADIUM also works in a fully automated mode where dealers are not needed. This is great for non-peak hours where you don’t want to have staff present. 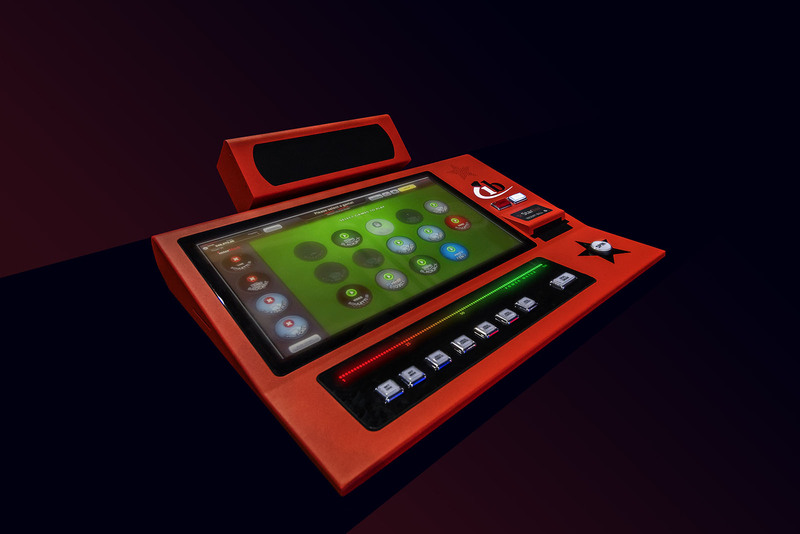 When running in a fully automated mode, all of the STADIUM functions (except Live Dealing) are still available to your players; providing a heightened gaming experience in comparison to standard ETGs. Players can play Roulette, Blackjack, Baccarat, Craps, Sic-Bo and even Keno or Bingo while listening to their favourite music or watching their favourite sport team win the big game! 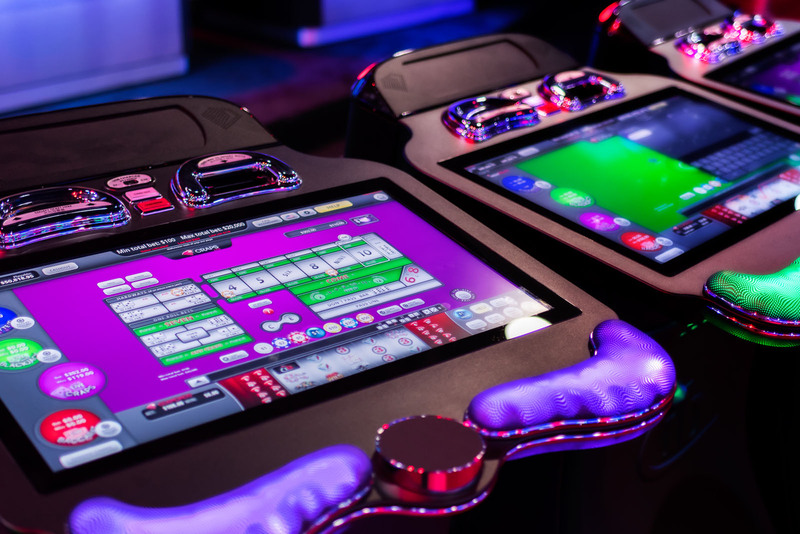 All players receive the same game results which are random at same time, while there is also an option to play traditional Casino Table games individually and Video slot, video poker and Video Keno as well. 27” touch screen play stations allow players to play up to four different games at a time, they can use our chatting module to talk to other players around them, and with the help of special Music Box system they can even create playlists to listen their favourite music as they play their favourite games. 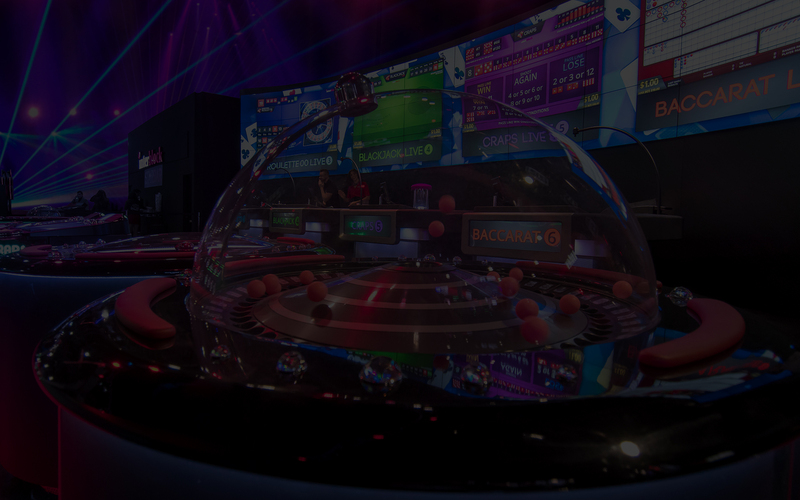 Star Bar is an impressive new Play Station that is playable directly from the bar’s counter and has been specially designed to maximize casino space and fit stylishly into any bar area. The Star Bar is easy to install and offers the whole range of Interblock games as well as debuting some video pokers, video keno and Slot games.With its own internal random number generator, it can be configured as a standalone machine, can be connected to any INTERBLOCK Live, Video, Automated with Dealer interaction or Automated game generator or can be a combination of both options.Star Bar offers the same exciting features as diamond Play Station, except the Star bar features 21.5” touch sensitive display. Allows players instant communication with other on the gaming device. Instant messages could be sent to certain stations or to all connected stations. The Chat Module can be easily disabled by a player if he/she does not wish to participate or he/she can just block one or more users. 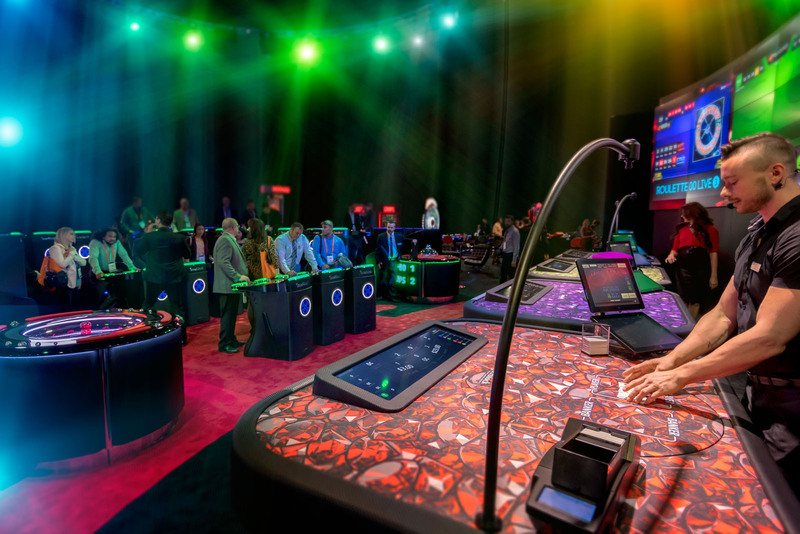 to learn more about how the Pulse Arena can be customized to fit the needs of your casino floor.